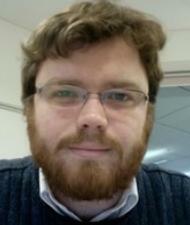 Dr Dai Morgan is the Deputy Course Director of the MPhil in Engineering for Sustainable Development and is affiliated with both the Centre for Sustainable Development (CSD, Div. D) and the Centre for Industrial Sustainability (Div. E, Institute for Manufacturing) in the Department of Engineering. He is also a member of the Cambridge Parallel Forum for Sustainability and the Environment. Dai’s research interests are in the general area of industrial sustainability, understanding how manufacturers can bring sustainability into their operations and decision making, whilst accelerating the shift towards more sustainable outcomes through industrial activity. This can impact the lives of the world’s poorest 3 billion people through the understanding of how manufacturers can improve their non-labour productivity without changes to product and process; how sustainability factors can be brought into the design process and supplier relationships; and how manufacturers might support the transition towards systems which can support global needs, whilst remaining within planetary limits. Dai is inspired by the opportunity we have to find new more humane models for development and to establish the role of engineers within that paradigm. He thinks that in the short term we have the responsibility to find ways to improve quality of life in a sensitive and appropriate manner and that in the long term we need to find ways of working that take us towards John Ehrenfeld's vision of sustainability - “the possibility that humans and other life will flourish on Earth forever'”. Dai’s driving question to also contribute to the Sustainable Development Goals through the participation in the Global Challenges Forum is how can we realise this vision through developing people, from whatever discipline.